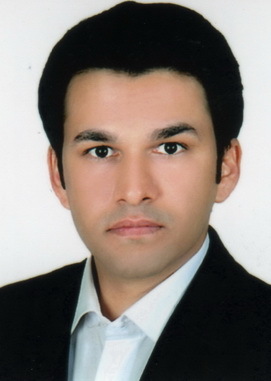 Javad Sharifi-Rad is a Research Scientist in Department of Pharmacognosy, Faculty of Pharmacy, Zabol University of Medical Sciences, Iran. He completed his PH.D in Pharmacognosy. His special activities were appointed as an Associate Editors, Editor-in-Chief in different Journals. His research interests reflect in his wide range of publications in various national and international. He was awarded as \"Best Researcher\" of Zabol University of Medical Sciences in 2013 & 2014. 1. Sara Raeisi , Majid Sharifi-Rad , Siew Young Quek , Bahareh Shabanpour , Javad Sharifi-Rad. Evaluation of antioxidant and antimicrobial effects of shallot (Allium ascalonicum L.) fruit and ajwain (Trachyspermum ammi (L.) Sprague) seed extracts in semi-fried coated rainbow trout (Oncorhynchus mykiss) fillets for shelf-life extension. LWT- Food Science and Technology, 65:112-121, 2016, Indexed in ISI and Pub Med (ISSN: 0023-6438; Impact Factor: 2.47). 2. Sara Raeisi , Majid Sharifi-Rad , Siew Young Quek , Bahareh Shabanpour , Javad Sharifi-Rad. Evaluation of antioxidant and antimicrobial effects of shallot (Allium ascalonicum L.) fruit and ajwain (Trachyspermum ammi (L.) Sprague) seed extracts in semi-fried coated rainbow trout (Oncorhynchus mykiss) fillets for shelf-life extension. LWT- Food Science and Technology, 65:112-121, 2016, Indexed in ISI and Pub Med (ISSN: 0023-6438; Impact Factor: 2.47). 3. Ashraf Sadat Ghasemi, F. Mashhadban, Seyedeh Mahsan Hoseini-Alfatemi, Javad Sharifi-Rad. Conformational stability, spectroscopic and computational studies, hikes\' occupied molecular orbital, lowest unoccupied molecular orbital, natural bond orbital analysis and thermodynamic parameters of anticancer drug on nanotube - A review, Cellular & Molecular Biology, 61(8):74-78, 2015, Indexed in ISI and Pub Med (Impact Factor: 1.234). 4. Leila Soufi, Seyedeh Mahsan Hoseini-Alfatemi, Mehdi Sharifi-Rad, Marcello Iriti, Marzieh Sharifi-Rad, Masoumeh Hoseini, Javad Sharifi-Rad. Recombinant Proteins in Escherichia coli: Optimizing Production Strategies. American-Eurasian Journal of Agricultural & Environmental Sciences, 15(11):2149-2159, 2015, Indexed in ISI. 5. Ashraf Sadat Ghasemi, Mehri Deilam, Javad Sharifi-Rad, F. Ashrafi and Seyedeh Mahsan Hoseini-Alfatemi. Molecular structure, spectroscopic assignments and other quantum chemical calculations of anticancer drugs - A review. Cellular & Molecular Biology, 61(7):110-118, 2015, Indexed in ISI and Pub Med (Impact Factor: 1.234). 6. Abdolhossein Miri, Javad Sharifi-Rad, Kaveh Tabrizian and Ali Akbar Nasiri. Antinociceptive and Anti-Inflammatory Activities of Teucrium persicum Boiss. Extract in Mice. Scientifica, Article ID 972827:8, 2015, Indexed in Pub Med. 7. Masoud Sahraie-Rad, Azadeh Izadyari, Saharnaz Rakizadeh and Javad Sharifi-Rad. Preparation of Strong Antidandruff Shampoo Using Medicinal Plant Extracts: A Clinical Trial and Chronic Dandruff Treatment. Jundishapur Journal of Natural Pharmaceutical Products, 10(4):e21517, 2015, Indexed in Pub Med. 8. Abdolhossein Miri and Javad Sharifi-Rad. Guaiasistanol: A new guaiane sesquiterpenoid from Teucrium persicum Boiss. Cellular and Molecular Biology, 61(5):64-67, 2015, Indexed in ISI and Pub Med (Impact Factor: 1.234). 9. Seyedeh Mahsan Hoseini-Alfatemi, Jagadeesh Bayry and Javad Sharifi-Rad. IgE response to two new allergen proteins of Solanum melongena L.(eggplant). Immunology Letters, 168(2):268–270, 2015, Indexed in ISI and Pub Med (Impact Factor: 2.512). 10.Javad Sharifi-Rad, Mehdi Sharifi-Rad, Seyedeh Mahsan Hoseini-Alfatemi, Marcello Iriti, Majid Sharifi-Rad and Marzieh Sharifi-Rad. Composition, Cytotoxic and Antimicrobial Activities of Satureja intermedia C.A.Mey Essential Oil. International Journal of Molecular Sciences, 16(8):17812-17825, 2015, Indexed in ISI and Pub Med (ISSN 1422-0067; Impact Factor: 2.862). 11.Khair Mohammad Jadgal, Tayebeh Nakhaei-Moghadam, Hadi Alizadeh-Seiouki, Iraj Zareban, Javad Sharifi-Rad. Impact of Educational Intervention on Patients Behavior with Smear-positive Pulmonary Tuberculosis: A Study Using the Health Belief Model. Mater Sociomed, 27(4):229-233, 2015, Indexed in Pub Med. 12.Javad Sharifi-Rad, Seyedeh Mahsan Hoseini-Alfatemi, Majid Sharifi-Rad, Mehdi Sharifi-Rad, Marcello Iriti, Marzieh Sharifi-Rad, Razieh Sharifi-Rad and Sara Raeisi. Phytochemical Compositions and Biological Activities of Essential Oil from Xanthium strumarium L. Molecules, 20(4):7034-7047, 2015, Indexed in ISI and Pub Med (ISSN 1420-3049, Impact Factor: 2.416). 13.Razieh Mirzaeian, Nastaran Razavi and Javad Sharifi-Rad. Knowledge and Use from National Digital Library among Physicians Hospitals Affiliated to Shahrekord University of Medical Sciences in 2012. Journal of Advanced Scientific Research, 6(2):26-28, 2015, Indexed in Scopus. 14.Sara Raeisi, Ali Reza Alishahi, Bahareh Shaban-Pour, Seyed Mehdi Ojagh, Javad Sharifi-Rad and Marcello Iriti. Nutritional Composition and Antioxidant Activity of Vobla-roach (Rutilus rutilus caspicus) Muscle Tissue Exposed to Heavy Metals. Bulletin of Environment, Pharmacology and Life Sciences, 4(2):83-90, 2015, Indexed in ISI. 15.Mohsen Khaksar Boldaji, Alireza Shirvani, Javad Sharifi-Rad, Hamid Raeisi, Ali Akbar Rastar and Razieh Mirzaeian. Examination of causes behind procrastination among Shahrekord University of Medical Sciences employees and proposing some strategies for their preventing: A study using the Van Wyk’s Model. International Journal of Research in Medical Sciences, 3(7):1657-1661, 2015.